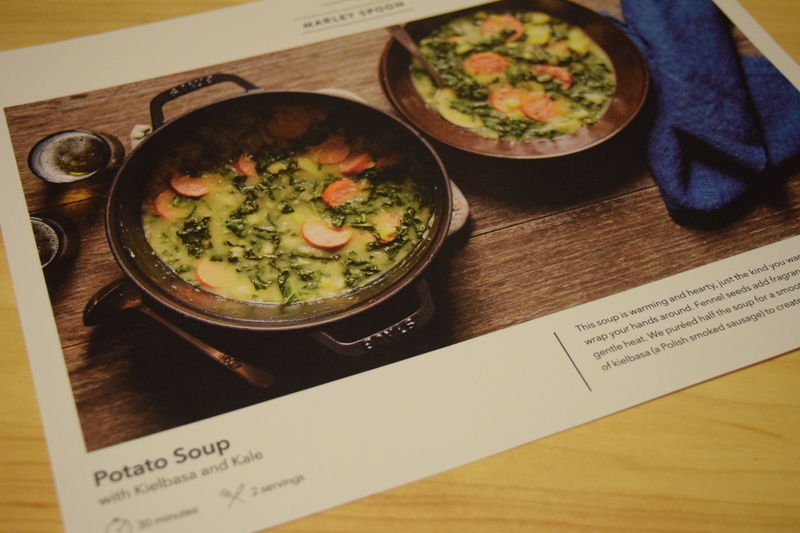 I’ve been trying out a subscription to Marley Spoon, a weekly meal delivery service. I’ve been saving up some of my posts to share, so be ready for some food blogging fun. My meal plan is for a weekly delivery of 2 meals. Marley Spoon sends them well packed in a big, insulated box. I chose this because I typically really enjoy potato soup. 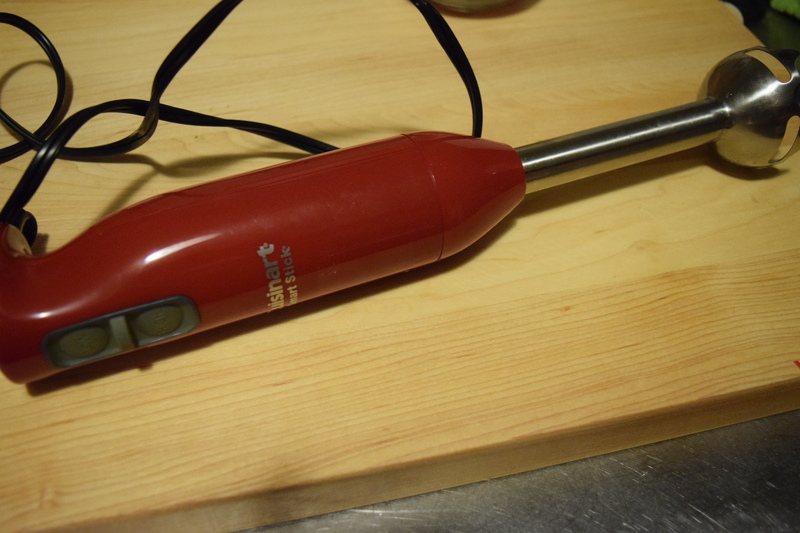 I get the usual fresh ingredients and this recipe calls for me to use my immersion blender. 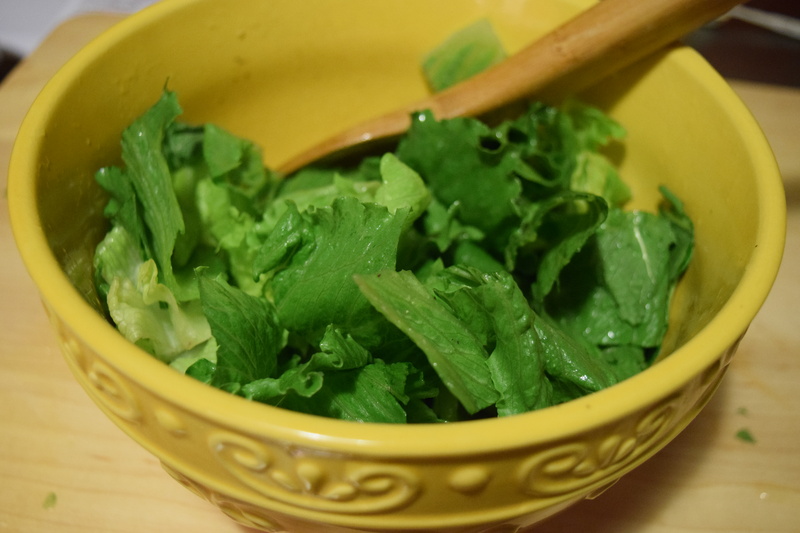 I opt to leave out the fennel seed (because I hate them with a fiery passion) and to cut down on some of the vinegar because I find Marley Spoon recipes to be way heavy on vinegar. 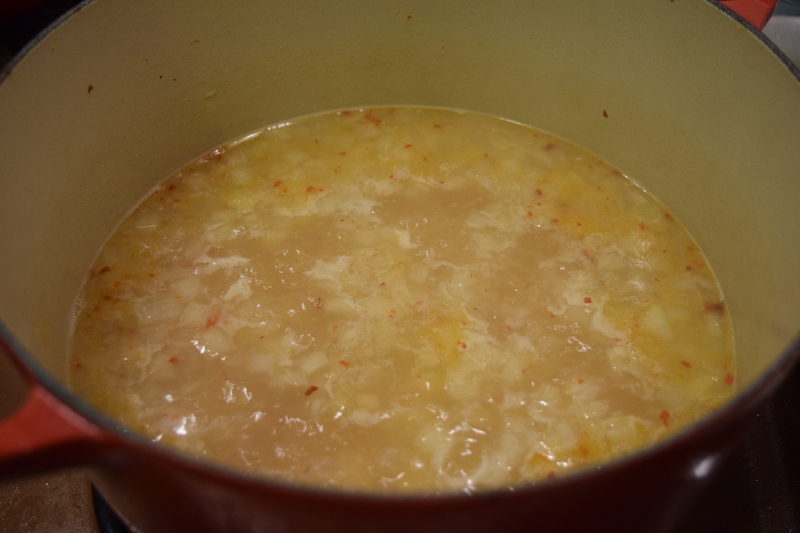 I chop up all the ingredients, sauté the onion, garlic and red pepper and then add in the potatoes. The instructions say to puree half, with either an immersion blender or in a regular blender. The immersion blender was the clearly the wrong choice because there was just enough liquid in there to repeatedly splash all over me. And in my defense the picture on the damn recipe card shows someone using an immersion blender so it’s not like I misinterpreted. 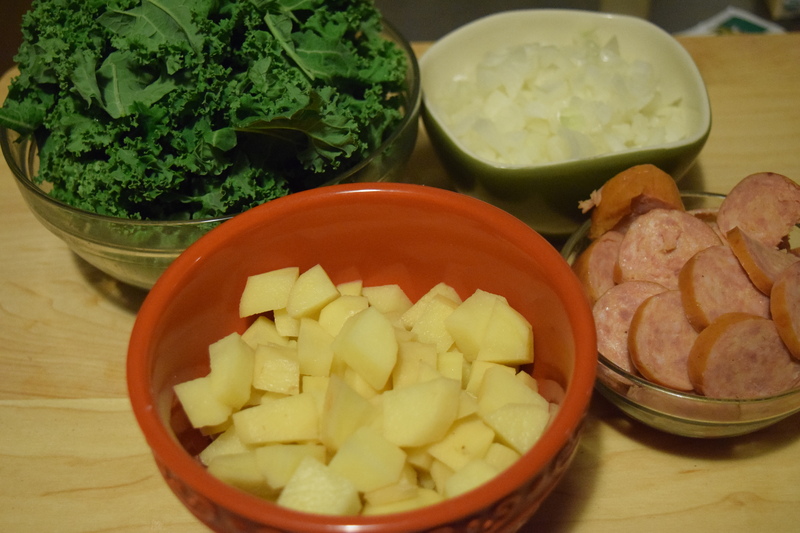 After a few burns, I added in the sausage and kale. All I could really taste was the red pepper flakes and I thought they overpowered the dish. Unfortunately I wasn’t a huge fan of the kielbasa. I wish the recipe called for searing the kielbasa first as I think that would have improved it’s flavor. Portion Size: Generous. There was well over two servings here. It’s just not interesting or compelling enough to serve guests. 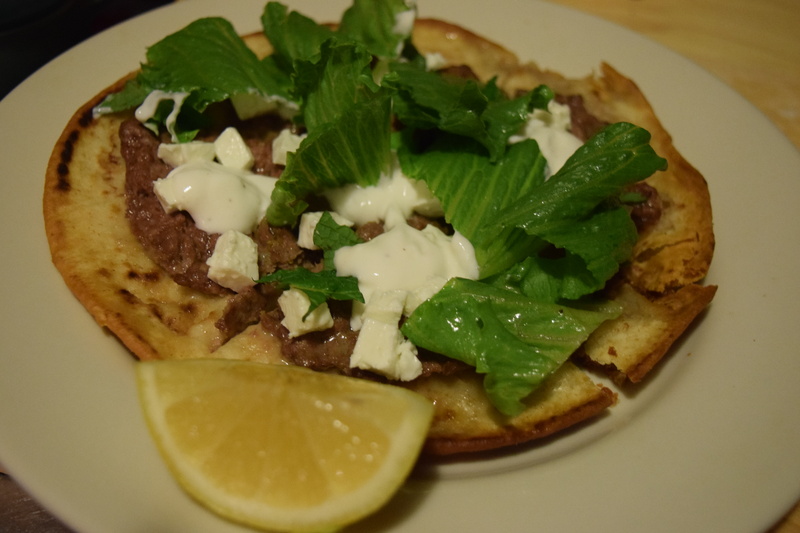 I adore Lamb Gyros and this seemed to be a variation on them. The same deal here, lots of high quality, well packaged items. This recipe was one of the easiest Marley Spoon ones I’ve done. 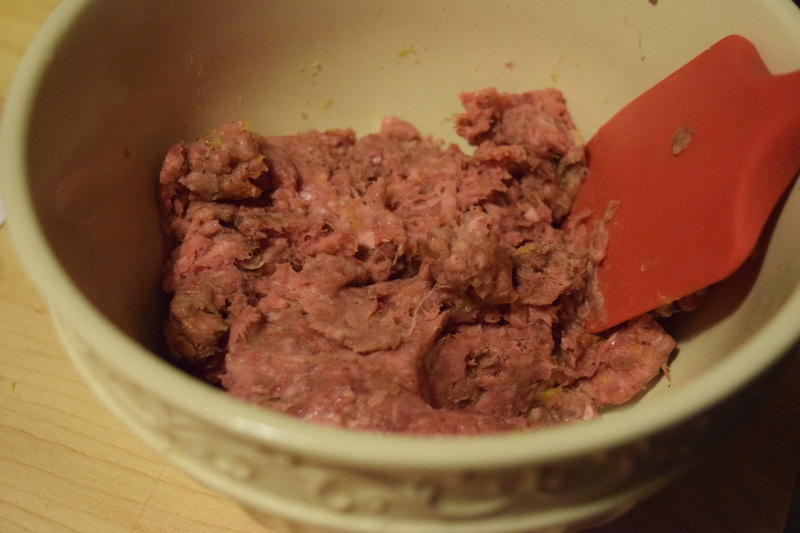 You pretty much just mix up the meat with seasonings (I omitted cumin because I hate it even more than fennel seeds) and then spread it on pitas coated with olive oil. 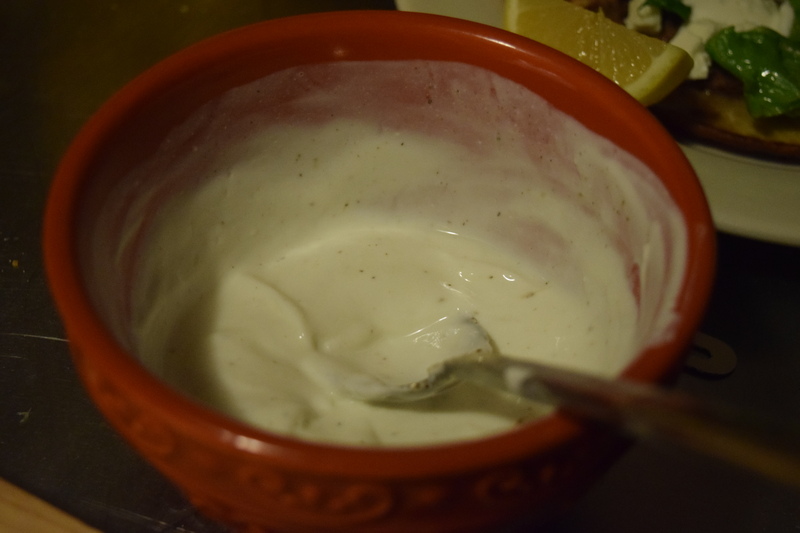 You make a yogurt sauce and a salad and after you’ve cooked your flatbreads you top them with feta, salad and your yogurt dressing. I really wish all Marley Spoon recipes were this easy. The flavors on this were great. They were exactly like a gyro and the only problem I had with the recipe at all was that it called for way more olive oil then you need. 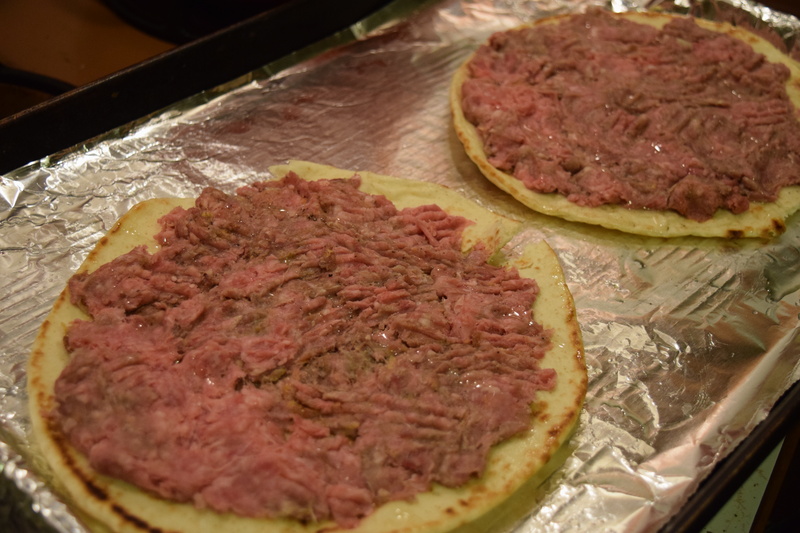 It asks you to coat the pitas with oil, top with the meat and then drizzle with olive oil and bake. The lamb has enough fat in it that it doesn’t need all that excess oil. 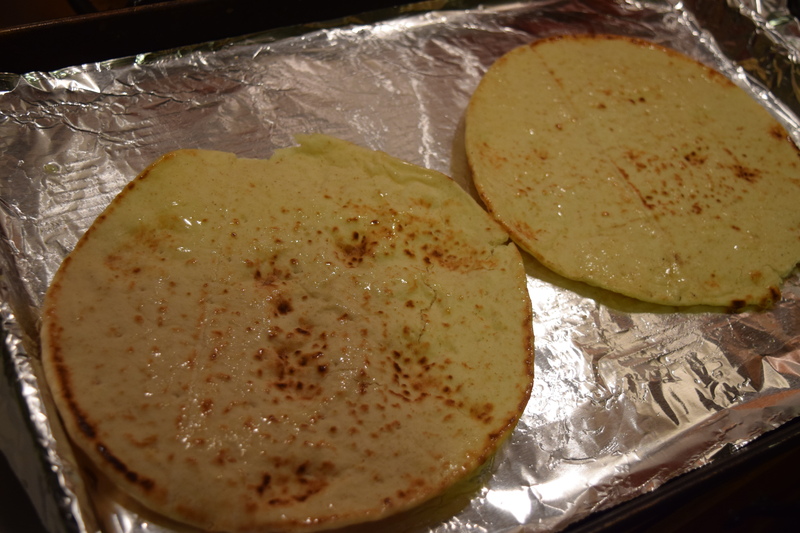 I ended up blotting the hell out of my flatbreads. I’d easily make this again but omit any extra oil. 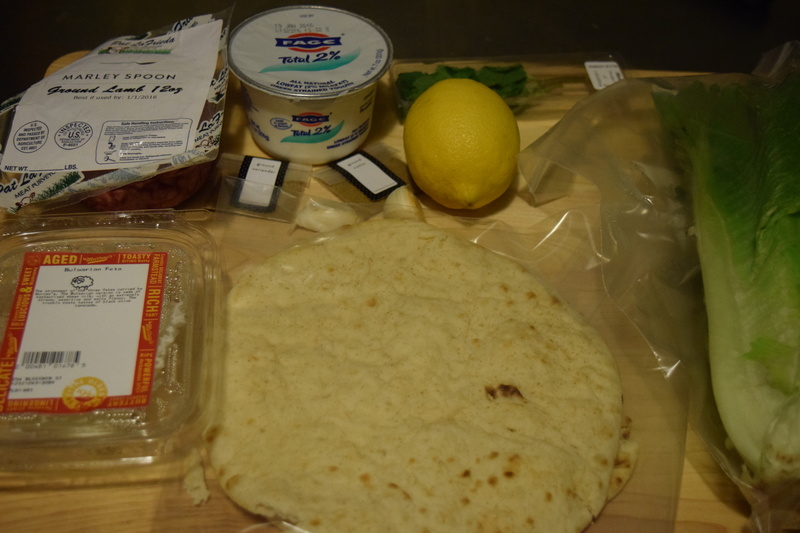 For this one I’d opt to make this flatbread with a shrimp orzo salad recipe I have and a warm goat cheese dip. For drinks I’d do some type of refreshing cucumber cocktail and dessert would be lemon tart. 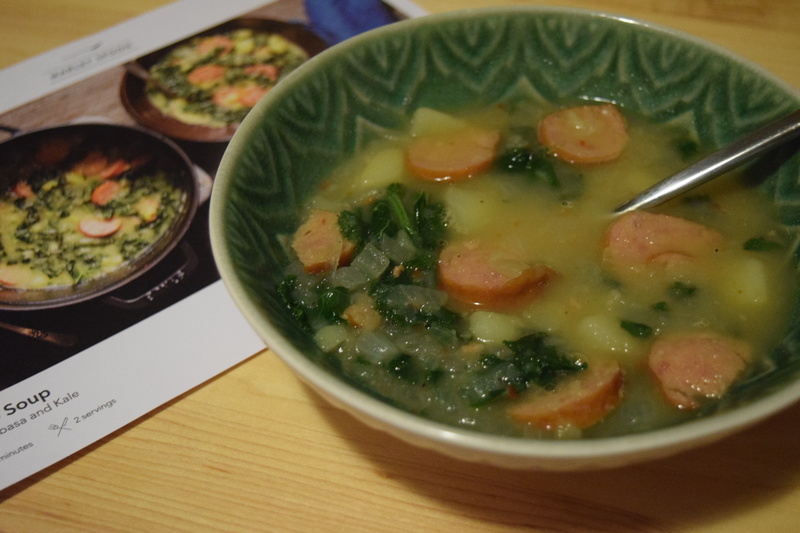 Even though I didn’t love the soup, both recipes were really easy to make and had generous portions. I’d really love to see more Marley spoon recipes like these. I’ve got lots more recipes coming (including their Thanksgiving menu) so be sure to come back and see how my food blogging skills hold up. 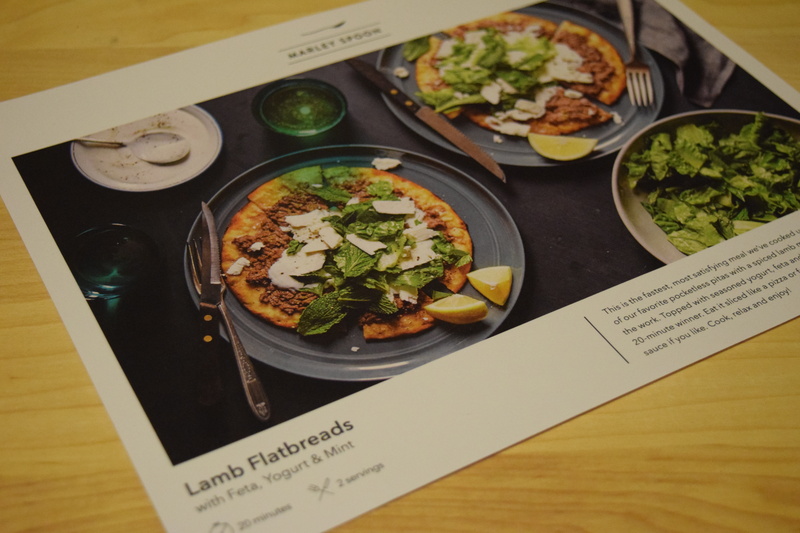 Marley’s Spoon creates delicious, easy to follow recipes. 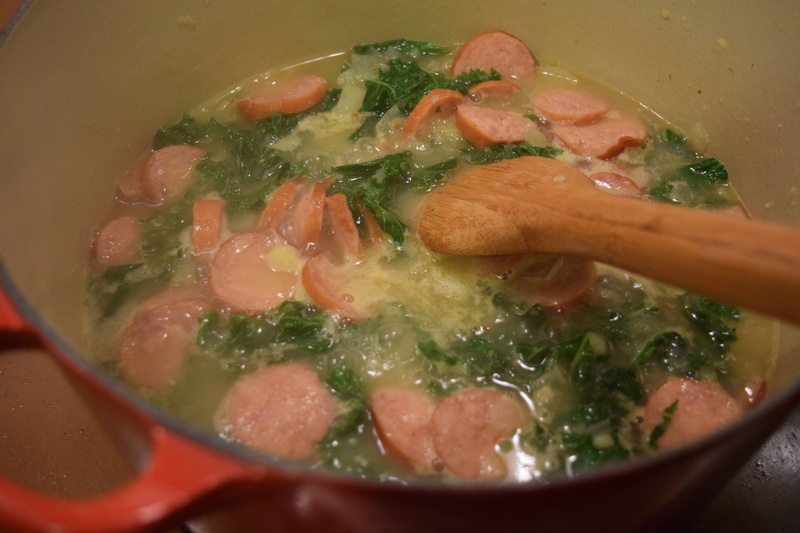 I love a good potato soup but sounds like seasoning needs to be improve (with respect to the chef) and I would have sauteed the sausage to release its flavor in the pot and then add the “wet/liquid” ingredients! 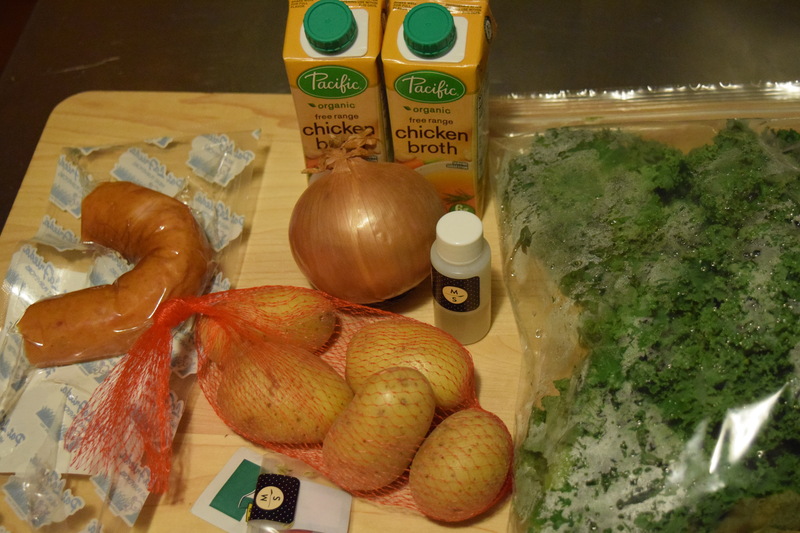 I like the added kale aka “superfood” to this soup! 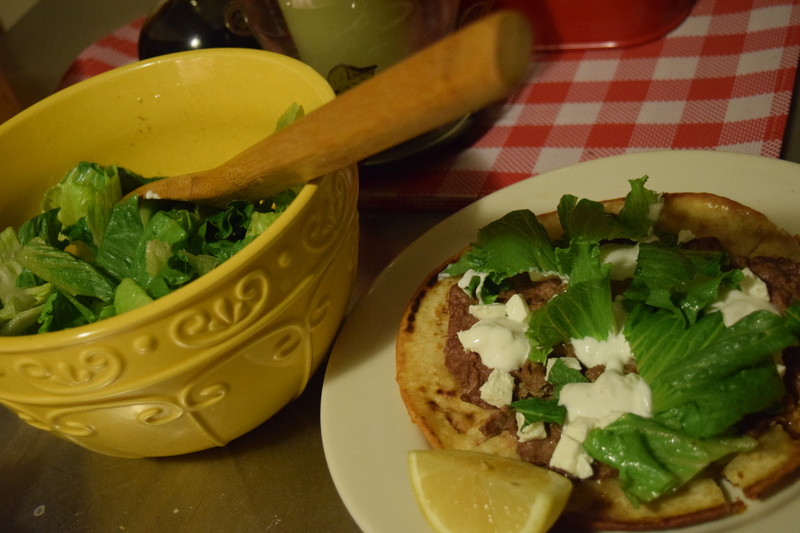 I do like the lamb pitas! Thanks! I definitely think cooking the sausage would have helped the flavor!